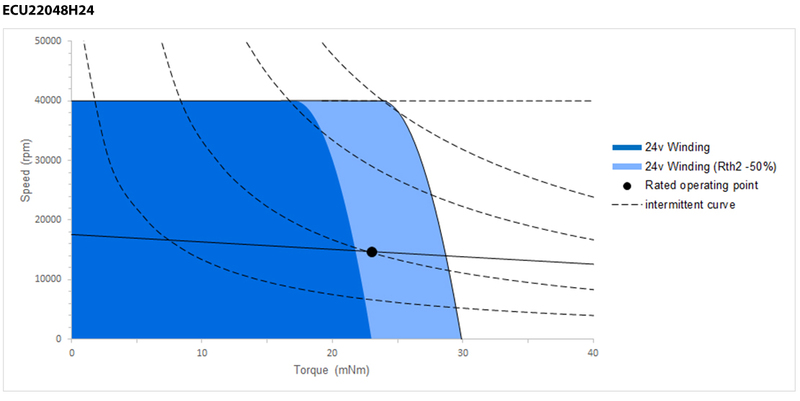 Segment by running speed, slotless BLDC motors are typically divided into 3 ranges, including low speed(<10000rpm), medium speed(10000~40000rpm) and high speed(>70000rpm). In most cases, low-speed motors are used in the industrial sector, while medium- speed and high-speed motors are frequently used in the biochemical and medical field. 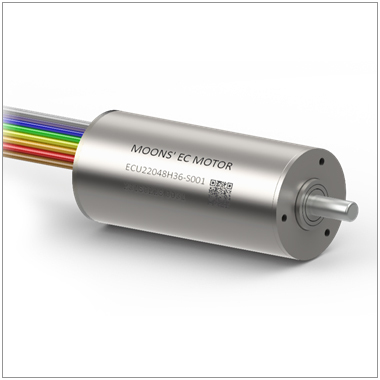 New ECU22 series slotless BLDC motors launched by MOONS' aim to meet modern industry demand by increasing speed to 18000rpm level and improving life time 35% comparing to existing product. By optimizing electromagnetic design and using new materials, MOONS' enables users to obtain better product experience. 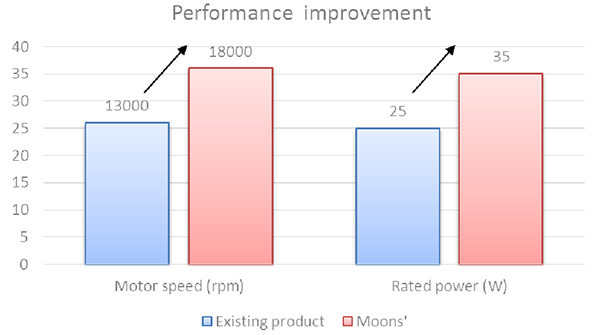 MOONS' ECU22 motors have greatly improved the running speed to 18000rpm and rated output power to 35w, which are more suitable for the higher speed and power requirements of today's industrial automation. We also keep the better temperature rising at 18000rpm running status. At the same time, considering the long-term and heavy-duty application scenarios in industrial production, ECU22 series has specifically upgraded the bearing system, use the high speed and high load capacity ball bearing, to improve our motor operating life by more than 35%. MOONS' is constantly committed to the development of new products and provides customers with more performance value experience at the same cost. We have been developing new medium and high-speed slotless product, with the same design idea, we will provide more performance advantage comparing to existing market product.